 BeautyMark Skincare & Bodywork is the sole owner of the information collected on this site. We only have access to/collect information that you voluntarily give us via email or other direct contact from you. When you order from BeautyMarkNB.com, we collect the following information: your name, telephone number, e-mail address, billing information (credit card number, expiration date and billing address), products purchased, any relevant promotion code and information (gift certificate redemption code, for example) and, if relevant, the recipient’s name, address and telephone number. Information you enter is collected even if you cancel or do not complete an order. When ordering third-party products from BeautyMark Skincare & Bodywork, your contact information is shared with the manufacturer where they then process your order and ship it to you. We do not share your payment information with these third-party companies. We may disclose any information you provide to BeautyMark Skincare & Bodywork when we believe disclosure to be appropriate to comply with any law, regulation, or governmental request, or to comply with judicial process; or (ii) if such disclosure is necessary or appropriate to operate this web site; or (iii) to protect the rights or property of BeautyMark Skincare & Bodywork, its users, Sponsors, Providers, Licensors, or Merchants. BeautyMark Skincare & Bodywork wants you to be aware that when you click on links and/or ad banners that take you to third-party web sites, you will be subject to the third parties’ privacy policies, not ours. While we support the protection of privacy on the Internet, we cannot be responsible for the actions of third parties. We encourage you to read the posted privacy statement and user terms and conditions whenever interacting with, and prior to providing any personal information to, any other website. If you prefer not to allow your browser to accept cookies, an option for placing your order is to email AshAndSteph@BeautyMarkNB.com your order along with your shipping and billing address and credit card information. All information collected from you is stored in a technically and physically secure environment. We use Secure Sockets Layer (SSL) encryption technology to protect sensitive information online, and we do everything we can to protect user information offline. Unfortunately, no transmission over the Internet can be guaranteed to be 100% secure. As a result, while we take reasonable measures to protect your information, we cannot ensure or warrant the security of the information that you transmit to us, and you do so at your own risk. If you need to contact us, you can email us at AshAndSteph@BeautyMarkNB.com, call us at 830-243-4138, or send us a letter at: 161 W Jahn, New Braunfels, Texas 78130.